The Anti-Aging Ingredients You Need to Know About- Look for my reviews next week on Anaiti Skincare!!!! Anyone who has ever shopped for anti-aging products knows how overwhelming the task can be. 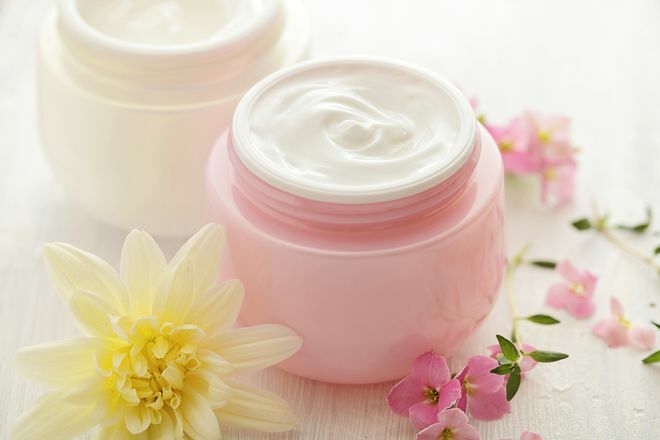 Day creams, night creams, serums, masks…there are so many products to choose from and each promises different results. So how do you choose the right one? The answer is in the ingredients. By knowing what to look for on the back of the bottle, you’ll be able to narrow down the product that will give you the best results for your own facial needs. We’ve broken down the top contenders so you can skip to the good part and make a match. This naturally-occurring substance provides volume, moisture and firmness to skin. In our own bodies, it depletes as we get older, leading to tell-tale signs of aging. Products containing hyaluronic acid reverse damage caused by free radicals. In other words, it reverses signs of aging by plumping and firming skin. Short chains of these amino acids are able to penetrate skin and aid in the functions of the proteins within. One such protein? Collagen, the breakdown of which leads to wrinkles and thinning. By applying products with peptides, new collagen is formed, erasing signs of aging and renewing skin for a more youthful appearance. The recurring favorite ingredient in most wellness-boosting and beauty products, vitamin C is a powerful antioxidant, which keeps skin safe from the free-radicals it comes into contact with on a daily basis. By shielding your skin from free-radicals, you can slow down damage and signs of aging. Vitamin C also speeds up the production of collagen, proving once again it’s one of the most versatile and beneficial ingredients of the beauty world.